The artificial intelligence (AI) revolution is fast changing how companies work. AI chatbots are now increasingly popular with consumer-facing companies looking to increase the efficiency and impact of the customer service function. 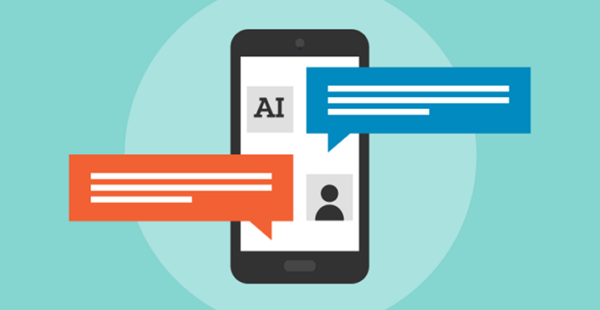 On their side, customers are also broadly giving AI chatbots a favorable welcome. A recent report shows that nearly 45 percent of customers are happy to use chatbots for customer service. This is encouraging news for businesses. However despite the significant advantages of AI chatbots, using them indiscriminately can cause more harm than good. That’s why business owners need to carefully assess how and where AI chatbots should be deployed. Round-the-clock instant support:With chatbots on duty, customers can get answers from businesses 24/7. It projects an image to customers of being proactive and always available. Convenient channel for communication:More and more customers are preferring text messaging as a communication channel. With chatbots, they can get instant response to queries like order update with just a few quick messages. Low operational costs :The operating costs for Chatbots are lesser, and they also more reliable as chatbots have zero turnover or time off needs! They are thus great way to supplement support. Help automate simple repetitive processes :Using Chatbots ensures the automation of processes which increases efficiency and speeds up service delivery to customers. Better agent productivity (more time on complex tasks) :With chatbots tackling mundane queries, agents can be freed to spend time on higher-order tasks. This not only improves the productively of the agents but also enhances their job satisfaction levels. Not applicable in all cases : Chatbots cannot be used in all areas of customer support or even in all industries. Currently, bots lack context awareness and can be buggy, which can lead to erroneous responses. Human sometime need to speak to human : Customers often need to speak to a human agent while seeking help instead of taking to a software program. For real-time engagement needs like- video chat, cobrowsing, secure document sharing, a human agent will always be preferred. Can’t always be used in complex situations : Complicated customer questions cannot be left to chatbots as they are limited to finding answers from pre-configured knowledge bank. Impersonal channel of engagement : Although AI bots can be tuned to be personalized, interacting with chatbots is shorn of the human touch. Automated interactions may leave the customer feeling a little cut off from the brand. Can result in lost opportunity for cross-selling : Interactive discussions with customers often lead to solutions beyond what was initially in scope. Cross-selling & up-selling opportunities are limited when customer interactions are reduced. Enjoy Best of Both – A Solution That Brings Live Human Interaction : Deploying a virtual collaboration platform in conjunction with chatbots can help you mitigate some of the issues with chatbots. Using tools like co-browser, video chat, you can introduce live human interaction that will enhance customer rapport and also help improve sales productivity. VeriShow now allows you to merge the AI and human support to better serve your customers. Get in touch for a quick demo!